I am not one of those individuals who happily toss away empty Altoid cases. I found it appealing because these mini containers look perfect to hold tiny stuff we all own. I recently noticed that these small cases own an ideal shape and size for holding debit cards, credit cards, and business cards. So, my inner instinct told me, let’s give it a chance and try to prepare a cardholder from one of used Altoids tin. I found that I can carry various essentials in it, including my ID, cash, credit card, lipstick, and sticks of gum. You might find it amazing that you can also use these small cases for carrying just about anything, like office supplies, gift cards, first aid kits, and other tiny accessories. So, do not even think about throwing away your Altoid cases because I have some DIY tips to turn it into an appealing card holder. Just a little bit of paint and some love you can turn a plain Altoid case into a cost-effective embellished container. 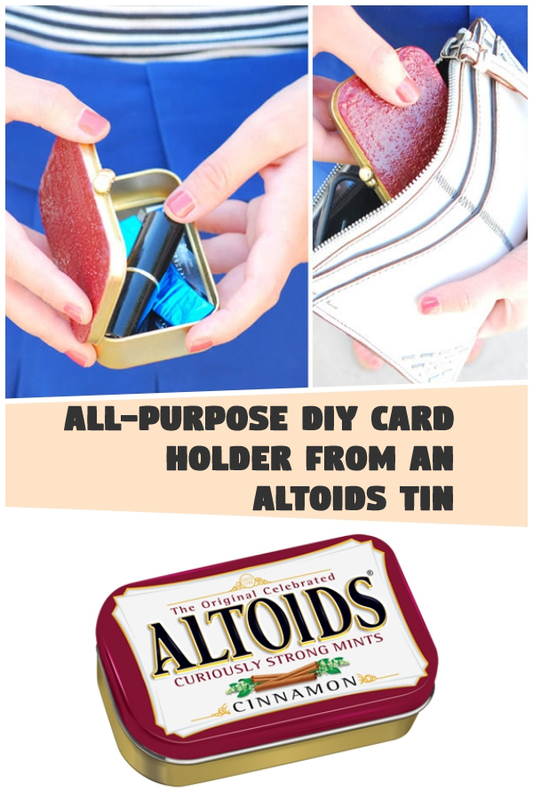 In addition, this is very easy to make a product and you might already have everything required to prepare a DIY cardholder from Altoids tin. 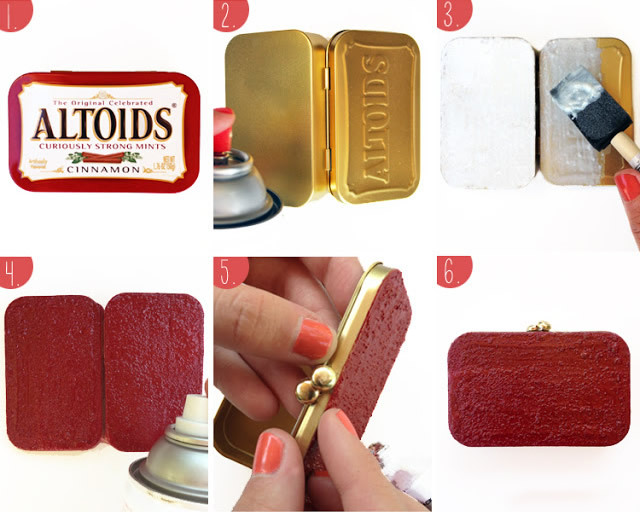 Pick up spray paint and start painting Altoids case thoroughly from inside and outside and then let it dry. As you can see, the Altoids logo is embossed over the front side. In order to hide it, you can apply a textured layer over the top. To do this you will have to pour Mod Podge in a small paper plate and then sprinkle some salt into that blend. Keep salt’s quantity high so that you can easily spot it but do not let it get clumpy. Now use a brush to apply it gently over the front and back side cover. Let it dry and then use a masking tape to wrap both sides of Altoid case. Now use another paint spray to color the front and back covers and then let the paint dry. Now remove the tape and your DIY all-purpose cardholder is ready.